Maps: Explorer OL7 - The English Lakes: South Eastern Area. 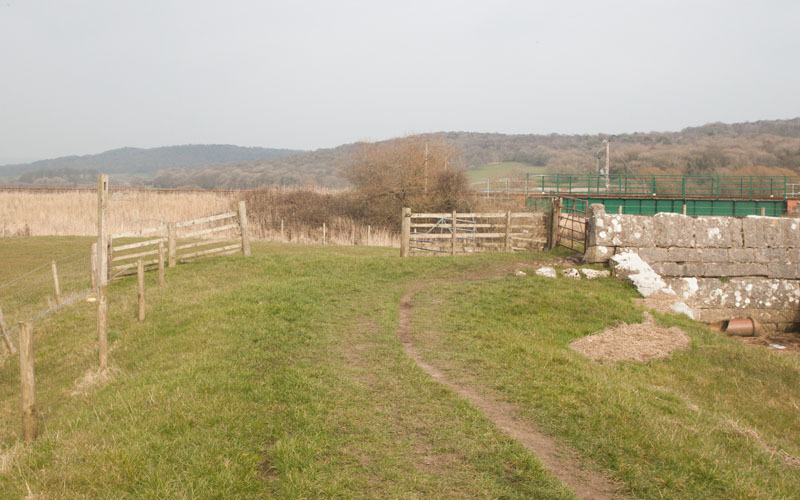 Start & Finish: SD 477 737 - Leighton Moss - Allen and Eric Morecambe pools car park (2 metre height restriction). 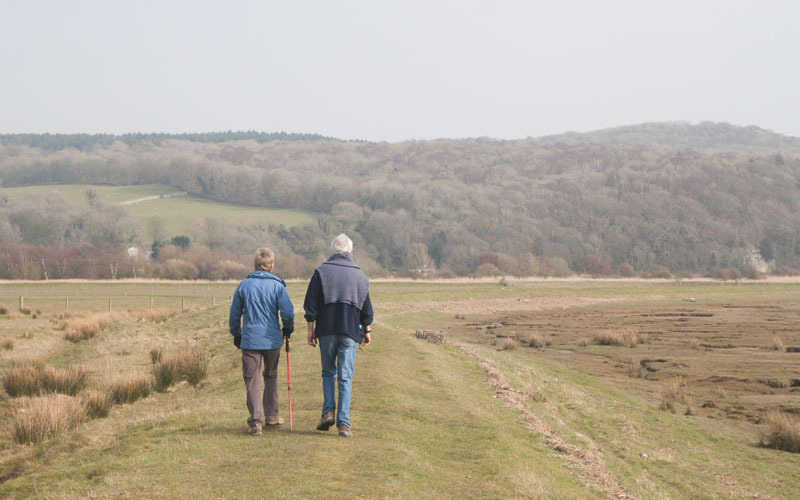 Alternatively, use public transport and start/finish this walk at Silverdale Station. 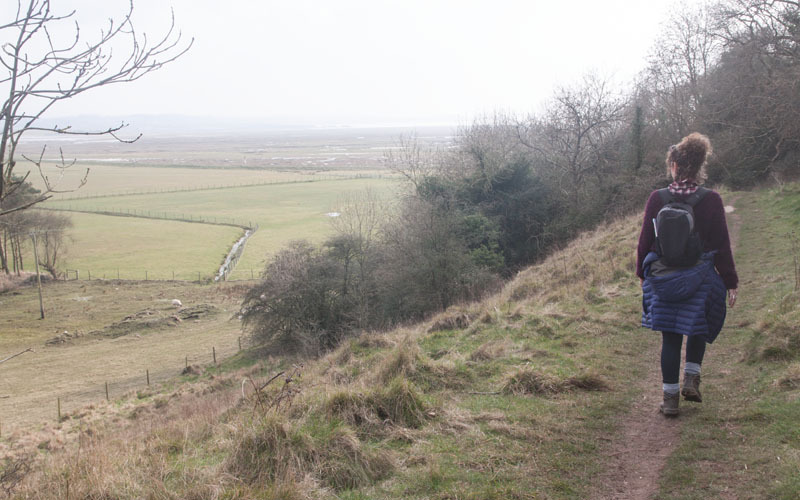 Route: Limestone scenery, woodland and coast are all part of this short but varied walk. 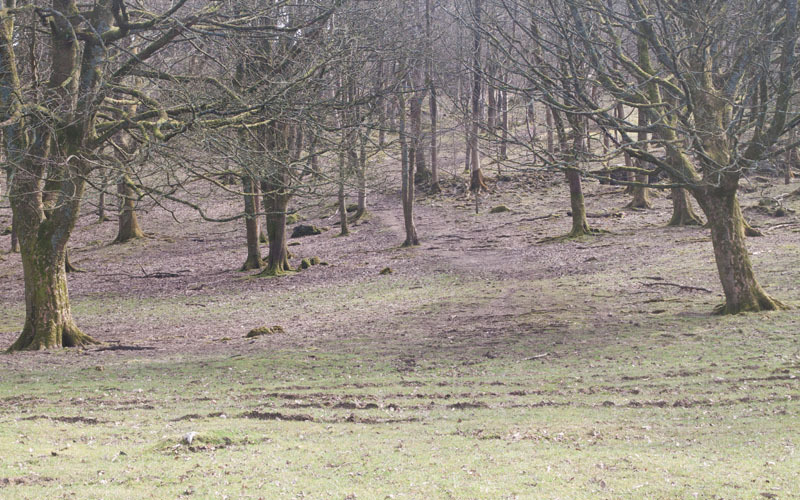 The route also passes the largest stone circle in Lancashire, historic Leighton Hall and through the RSPB reserve of Leighton Moss. Leighton Moss - RSPB website. Leighton Hall - Leighton Hall website. Morecambe Bay - Morecambe Bay Partnership. Arnside and Silverdale - Arnside and Silverdale AONB. Refreshments: We stopped for refreshment at the RSPB's Leighton Moss Visitor Centre Café. There are also tea rooms at Leighton Hall on the route (though check opening times/dates). 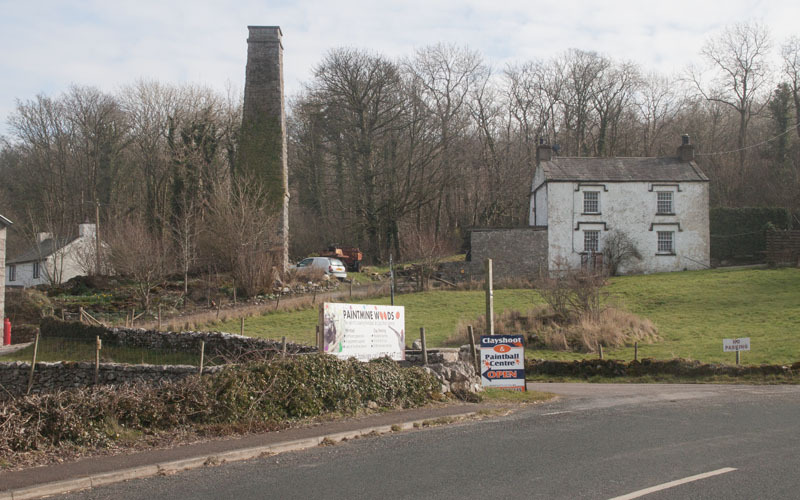 Not far from the route are a tearoom at Wolfhouse Gallery and a pub in Silverdale village. 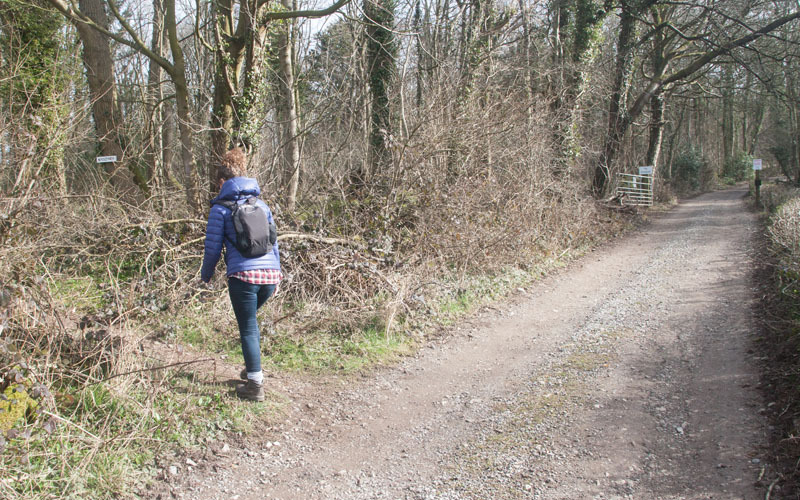 If starting this walk from Silverdale Station - click here. 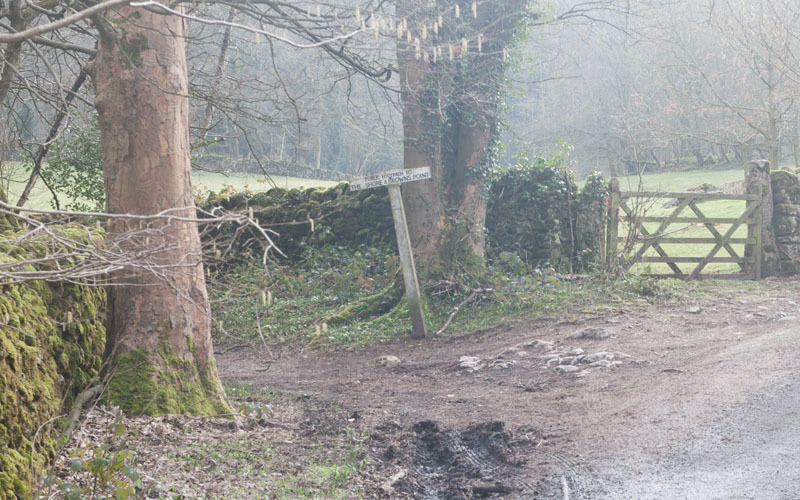 … the footpath into the woods on your right - it's before the gate and sign saying, No Footpath. 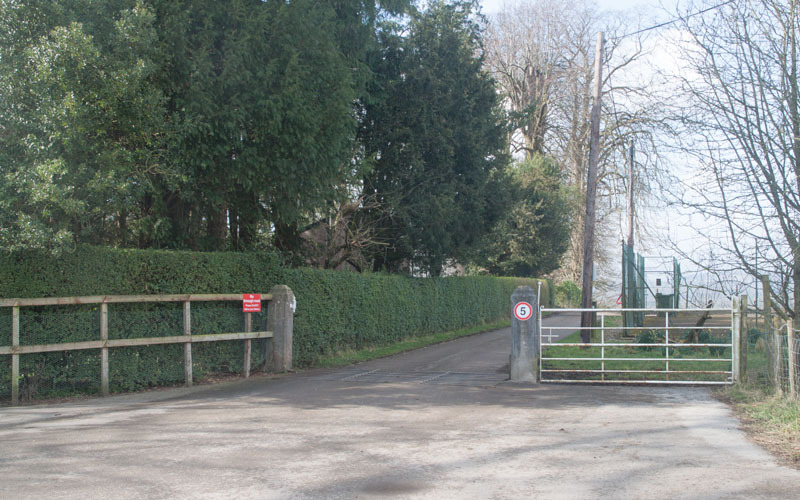 After about 300 metres you leave the woods, passing through a narrow gate next to a wide metal gate. … which winds to the right and climbs very gently. 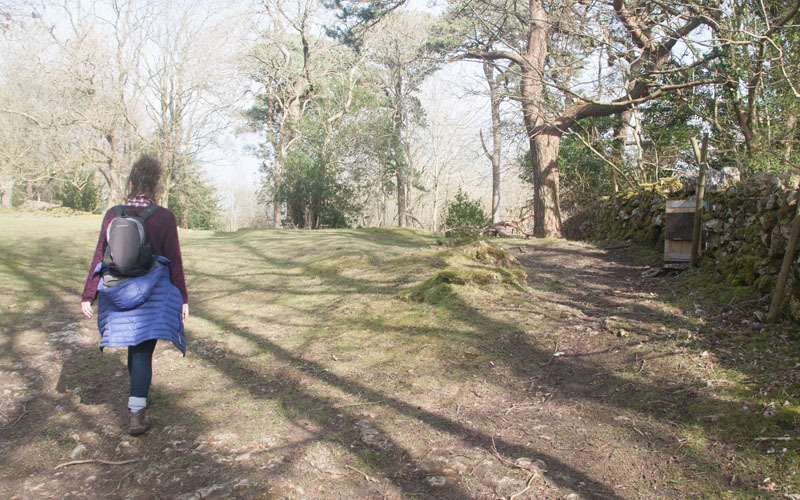 Pass through a gateway and walk up a stony track with woodland on both sides. Bear left where the track divides. 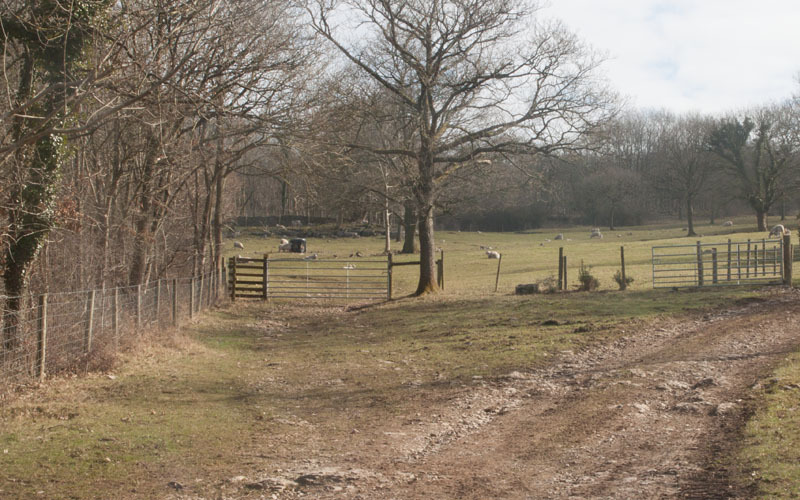 Go through the gate and follow the rutted track through the field with woodland and a wire fence on your left. 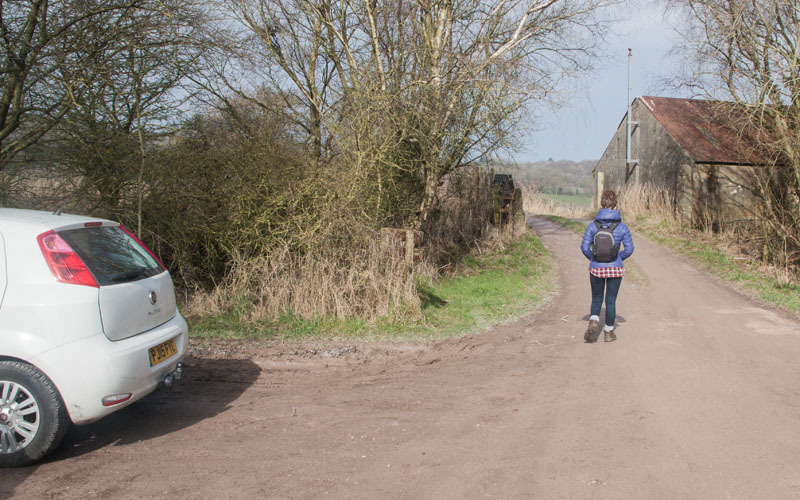 Although our OS map showed the right of way bearing off to the right - we could find no sign of any gate or stile in the position indicated by the map. 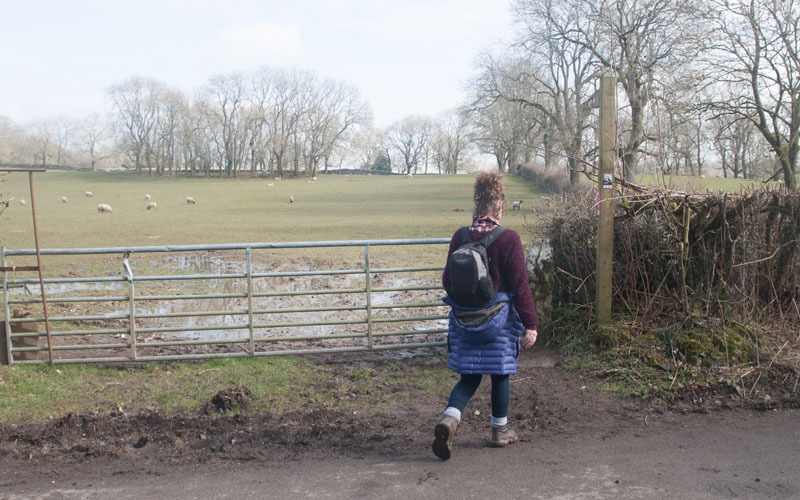 So we continued to walk alongside the wire fence and through the gateway pictured into the next field. … and you will see a waymarker post indicating the position of the path to follow (there was also a sign on one of the trees). 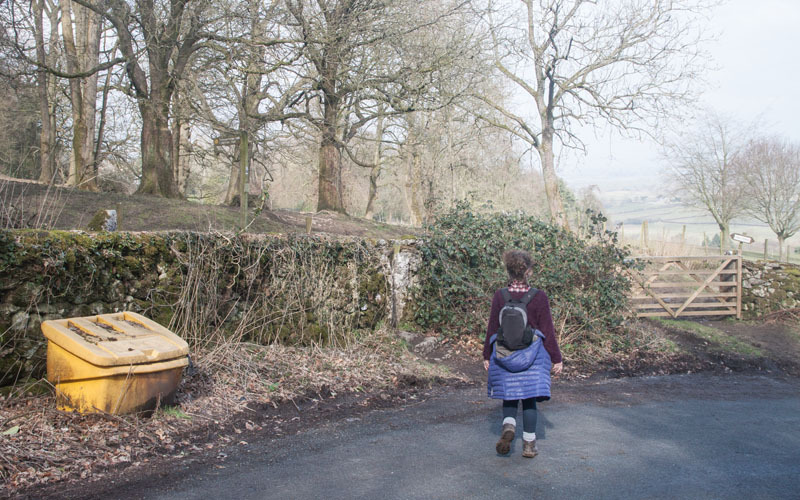 … a single track road (Peter Lane). 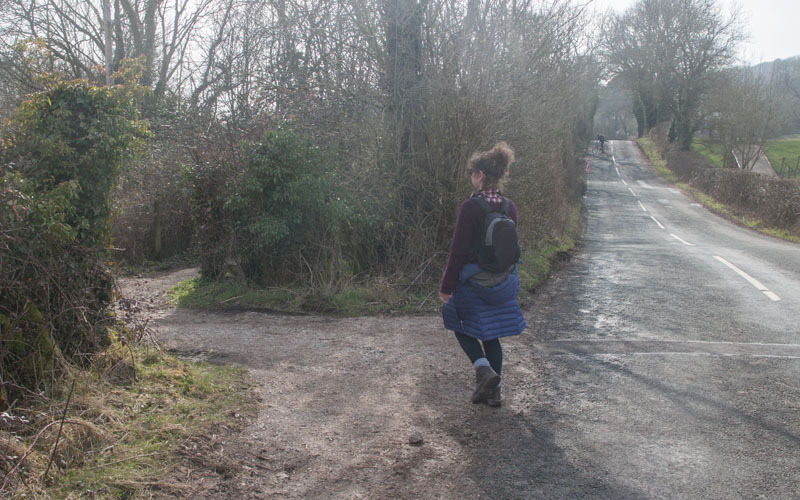 Cross the road and follow the footpath opposite. 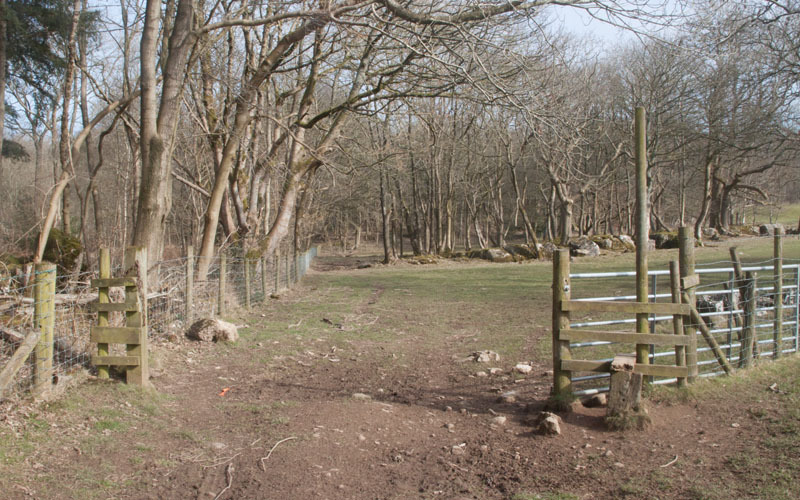 Follow the path along the right of the field through another metal gate. 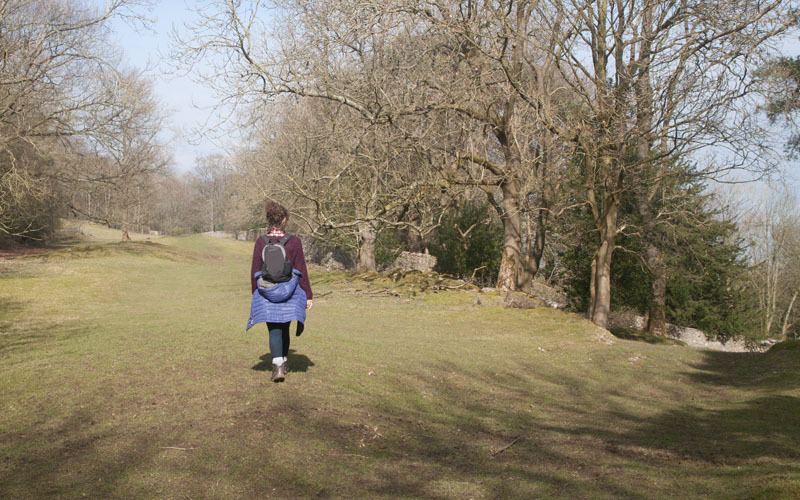 The path now passes through an area with limestone outcrops and small areas of limestone pavement. 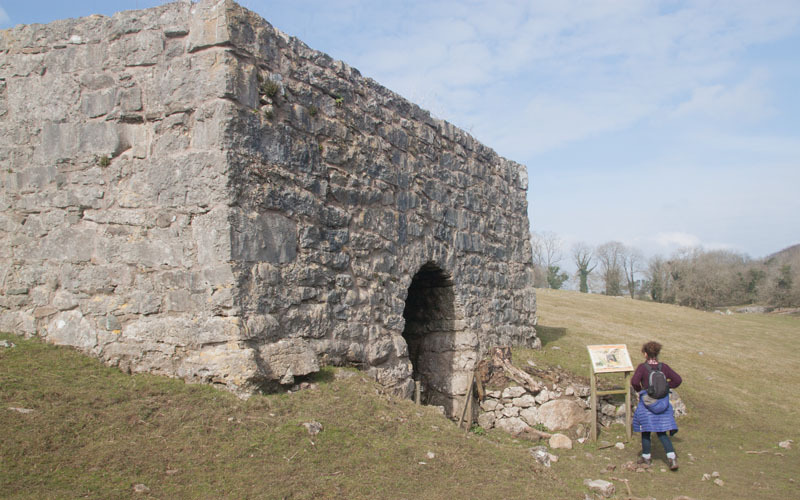 You pass to the right of Peter Lane Limekiln and the path bears slightly left, passing between more outcrops of limestone. 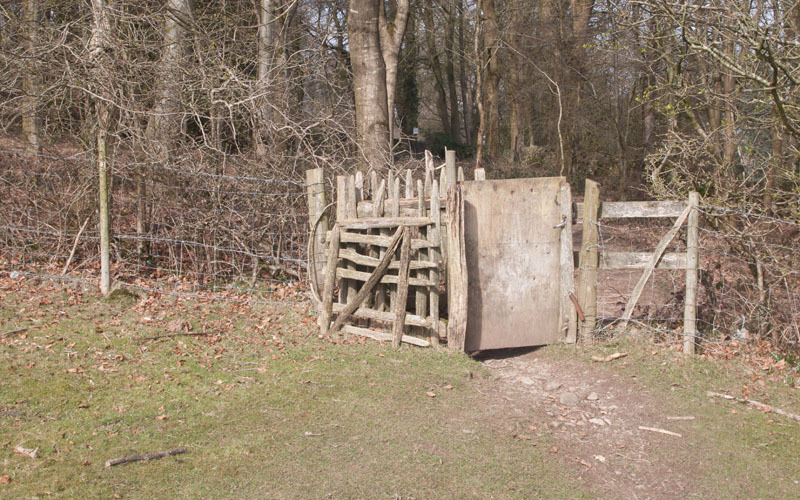 … and cross the stile on the left (between the grit bin and the wide wooden gate). 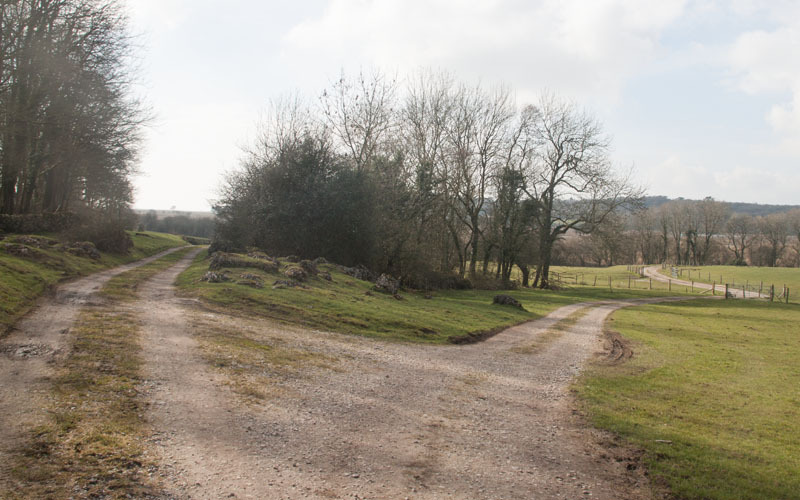 Just beyond the stile is a signpost - bear left, following the path signed for Summerhouse Hill and Leighton Hall. 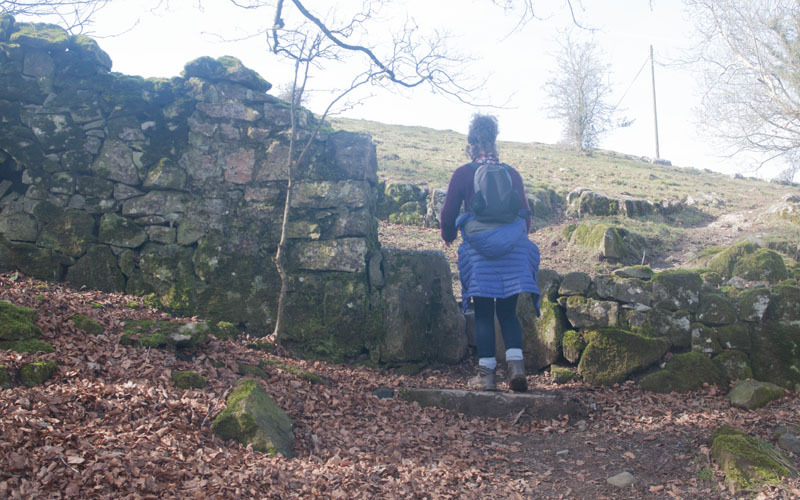 The path climbs gently, through a stone wall onto the open fell. Continue climbing and pass to the right of this outcrop of rock surmounted by a cairn of stones. 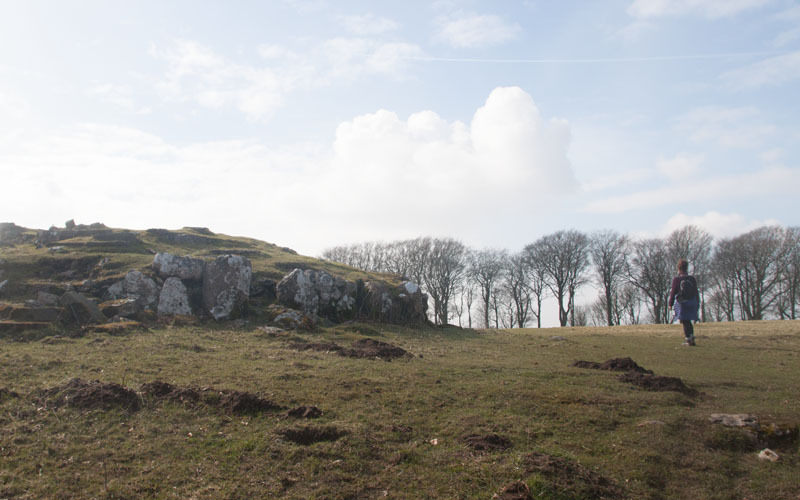 The origin of the cairn is uncertain - it is listed as an ancient monument and described as the largest stone circle in Lancashire - but it has also been dismissed as a collapsed tor. 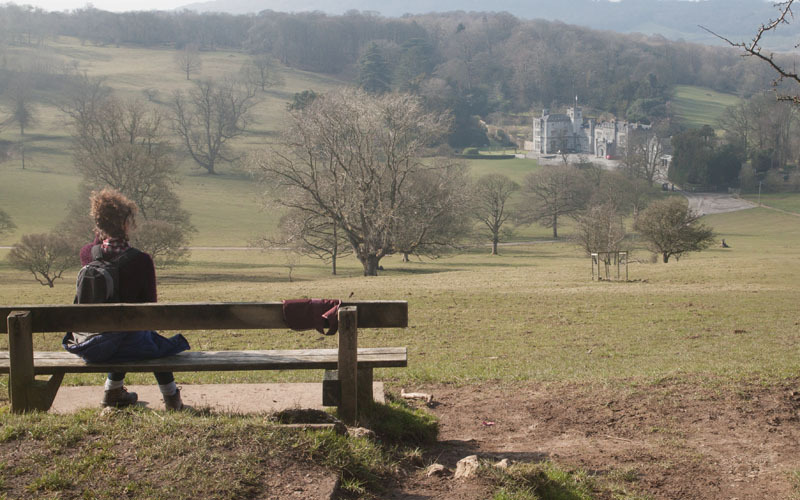 … through a line of trees to provide this magnificent view across to Leighton Hall and beyond. Walk down the grassy slope to meet the drive. 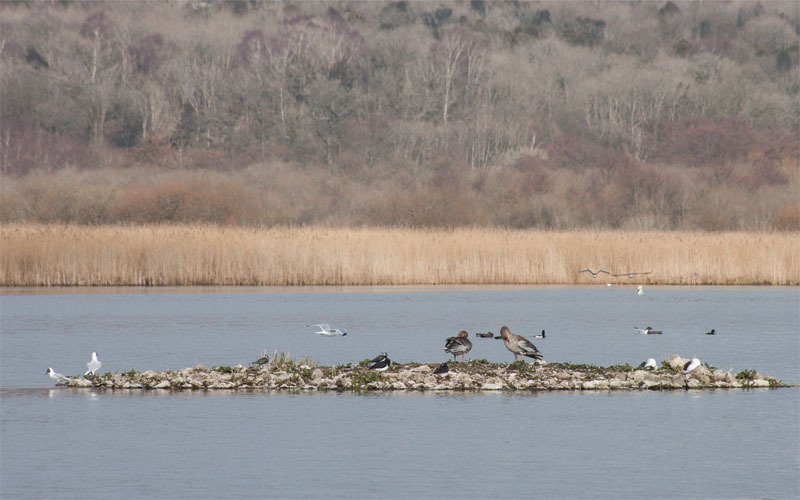 … the causeway across Leighton Moss. 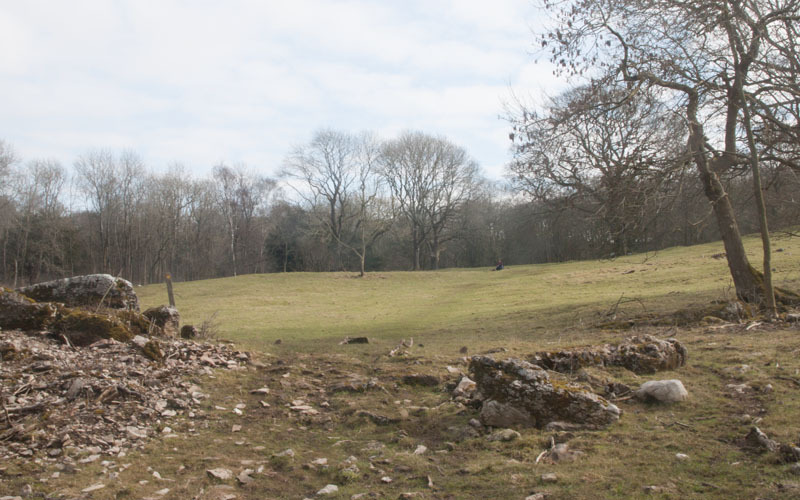 This is a nature reserve owned and managed by the RSPB. 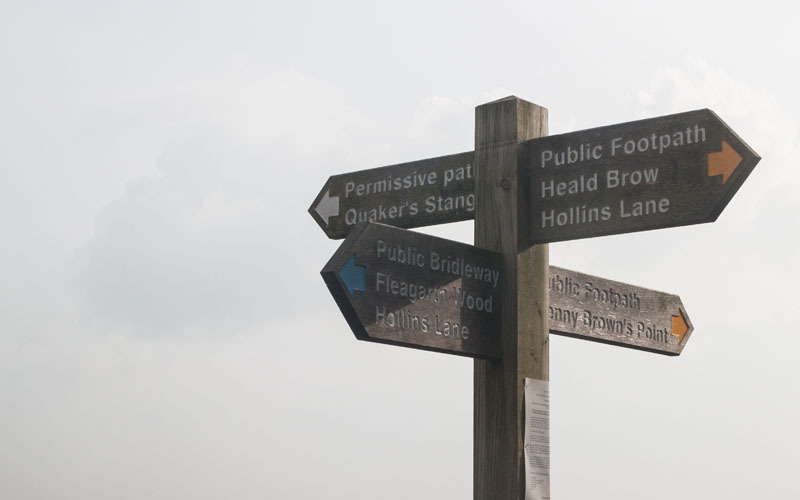 There are a number of hides which can be accessed if you have paid the admission charge (or if you are a member of the RSPB - or have travelled to the reserve by public transport or bike). 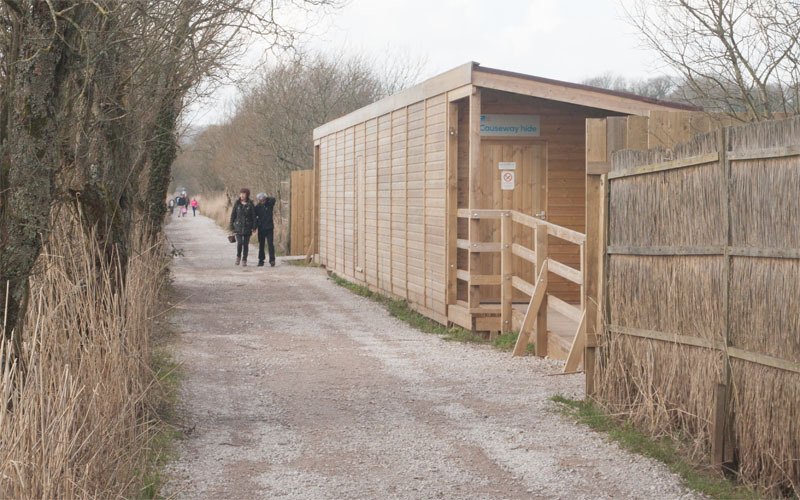 But there is also a public hide on the right of the causeway. From this you have splendid views across the reedbeds. … via the front entrance. Turn left along Storrs Lane. 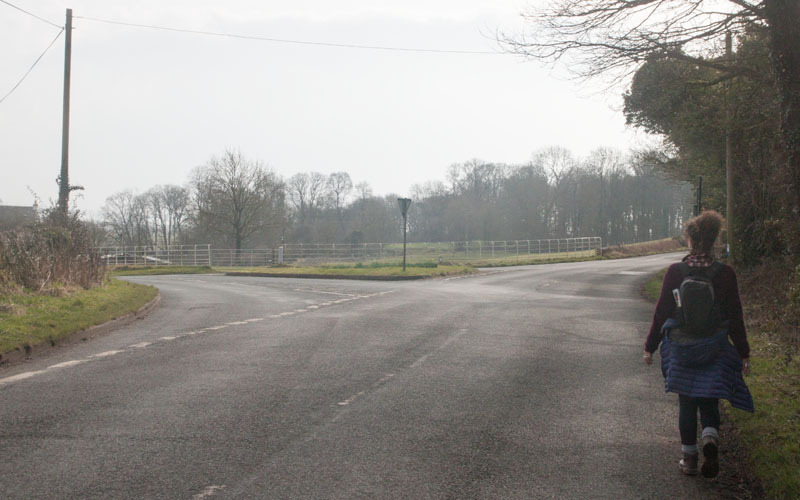 A few metres along the road you come to a junction. Turn left to follow Slackwood Lane. For those starting the walk at Silverdale Station - leave the station and turn left down down Red Bridge Lane. At the road junction bear right onto Slackwood Lane. Follow for about 300 metres to the road junction pictured. Follow the main road uphill round to the right. 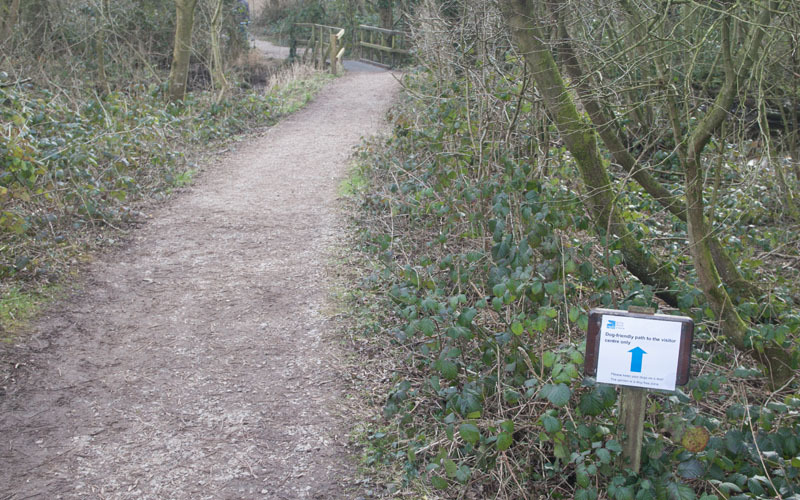 … until you see a path signed Public Footpath to the Shore & Browns Point. Turn left along this path through woodland (scented with wild garlic in March when we completed the walk). There's a stone stile to cross, before the view ahead to the bay opens up. 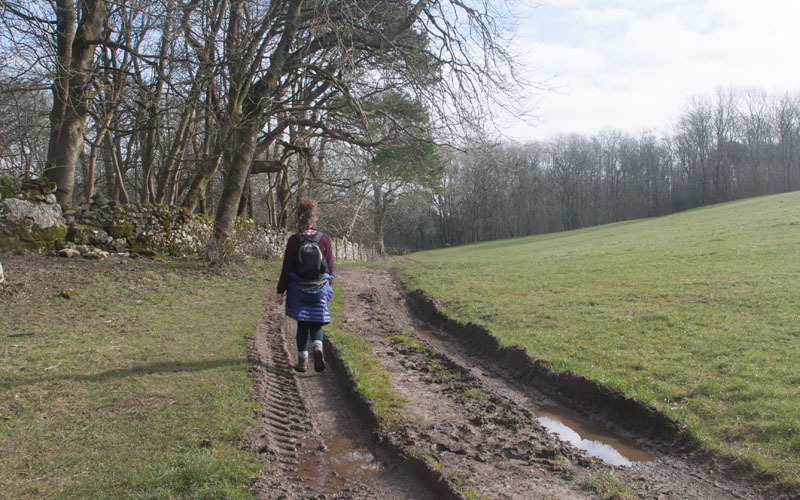 The path gradually descends to run alongside a wire fence (at one point, near to the sea defences the path was so muddy that we followed an unofficial diversion slightly up the hillside to the right of the official path. 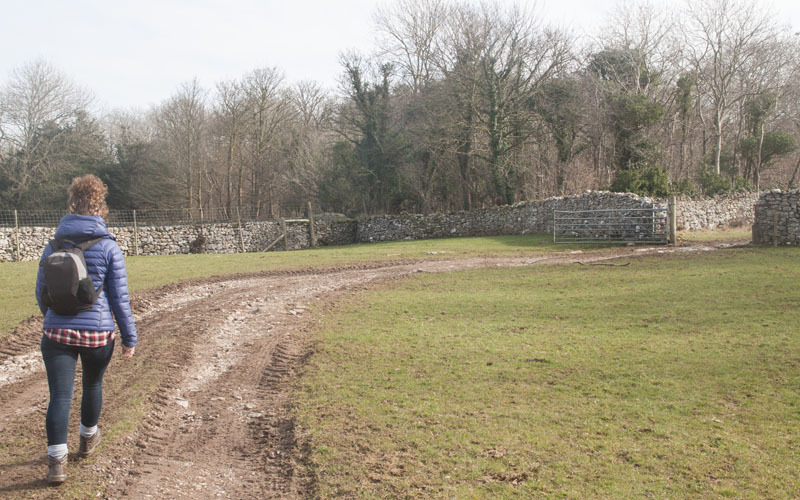 … along the sea defences labelled on the OS map as Quaker's Stang. An intriguing name - Andy Denwood makes some suggestions as to its derivation in his blog. 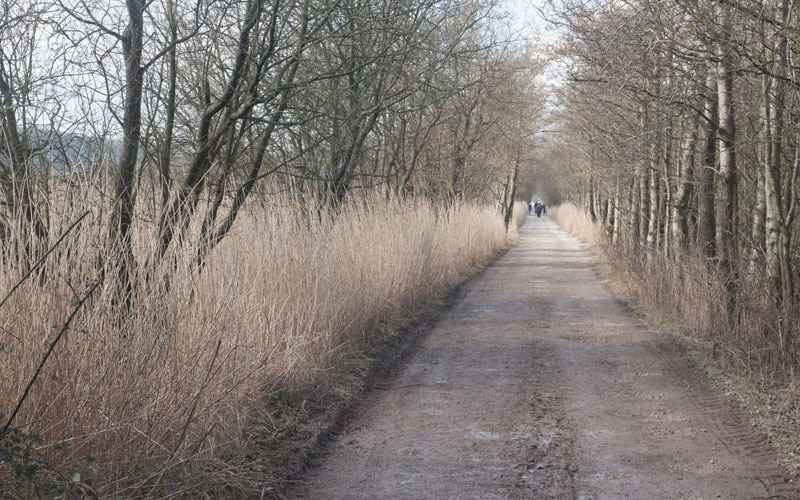 As you near the railway, follow the path as it bears right to cross a drainage ditch. 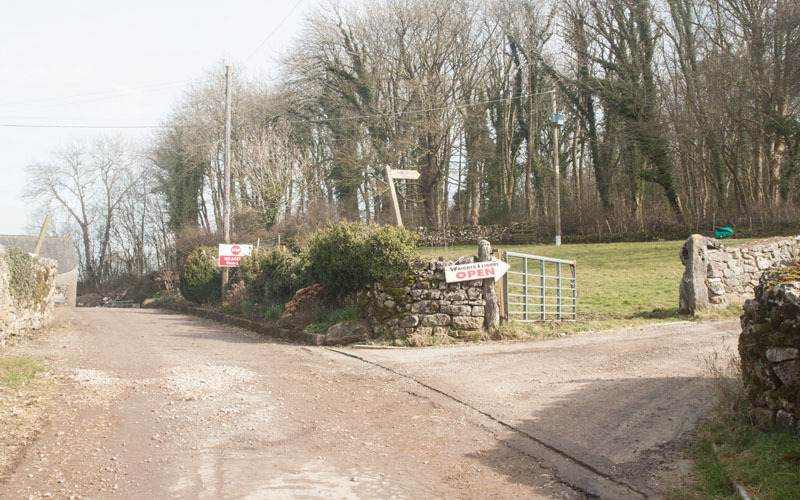 The entrance to the car park is on your right. 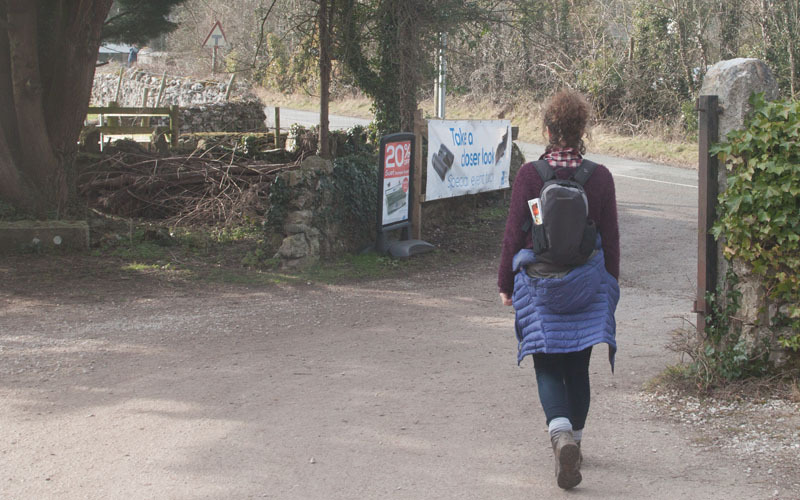 If you started the walk at Silverdale Station - walk past the car park entrance and turn right to follow the track back to the road. 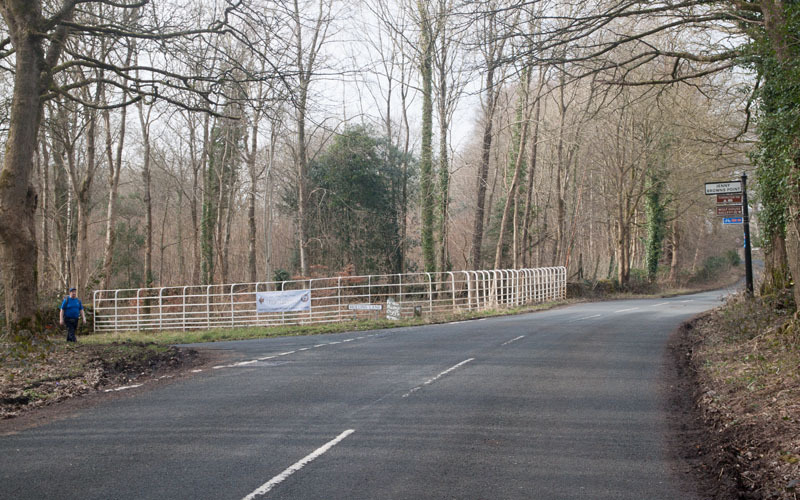 Turn right and walk along the road … Click here to continue. All text and images ©Graham Dean, April, 2016.